What cycling accessory can you buy for your friend's birthday that will have them singing your praises as they ride across town? The answer is the CycoPod. The CycoPod is a detachable storage compartment created by the intrepid inventors at Canada's foremost kayak company - Feathercraft Kayaks. It will hold your books, lunch, a six-pack, a change of clothes or even your laptop computer. 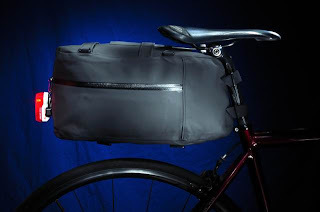 The storage unit fits just below the average touring seat and extends over the back tire of the bicycle. It comes in two handy sizes, large and small, with the large version having a 13 litre volume capacity. The seams on the CycoPod, like our kayaks, are welded for maximum water resistance. The exterior case is a double urethane coated fabric, again, the same material and construction used to make our kayaks. 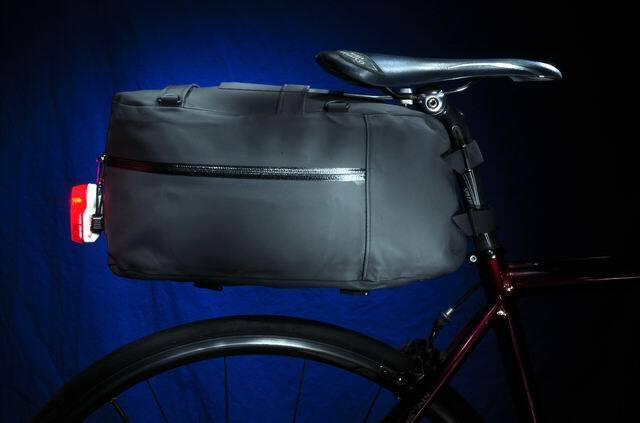 It will keep your textbooks safe and dry, it won't pull you to one side like a one-sided pannier and it will make an excellent gift to the roadie who seems to have it all.